When my Scale broke down, I was so devastated. I could no longer keep track of my weight loss progress. While buying another scale might have been the most convenient option. What if the new scale gave different figures? And what if it was calibrated to show I was making progress when I wasn’t? Because of my fears, I started looking for alternative ways. Keep on reading if you’re interested in what I found. The scale is a very powerful tool, especially when you are trying to lose weight. In such cases, seeing the numbers go down is usually so satisfying. However, stepping on the scale might feel like torture when you’ve just arrived from a fun-filled weekend in Cabo regardless of how hard you may have tried to resist the extra servings. Fortunately, you don’t have to use a scale to know whether you still have reason to celebrate. Instead, you can try one of two scientific but old-fashioned techniques. Be warned though, these methods are not exactly simple. You’ll have to grapple with slight complications like the use of simple mechanisms and variety of objects, as well as the application of some basic mathematics. Both of these two alternative methods of measuring weight offer a great degree of accuracy when done correctly. Below is a detailed review. When using water displacement to Measure your weight, you will apply the Archimedes Principle, which holds that density is equal to mass over volume. This principle is named after Archimedes, the Greek inventor, physicist, mathematician, and engineer who devised this method of calculating the volume of an irregularly-shaped object. Archimedes formulated this method in the later part of his life (c. 287 – c. 212 BC). At the time, his had been asked to calculate the quantity of gold used in fashioning the king’s crown without dismantling the crown. The principle states that when a Body is fully or partially immersed in a fluid, it will experience an upward buoyant force that is equal in magnitude to the weight of the displaced fluid. This upward force acts at the displaced fluid’s center of mass. Using the Archimedes principle, you can determine your weight from the volume of fluid displaced by your body. The density of water is 1 gram per cubic centimeter, meaning one cubic centimeter of water is equal to one gram. Because water has a constant weight and is incompressible, the volume of water displaced will be equivalent to the submerged body’s weight in grams. Find a leak-proof receptacle that is large enough to submerge yourself completely. You can use a bathtub. When using a tub, leaving a small margin for inaccuracy is advisable, especially if the tub’s inside walls are tapered. You’ll get a more accurate estimate of your weight if the container you choose is rectangular and has vertically straight sides. Fill the container with clean water. Make sure the water reaches a level that will allow you to submerge your entire body. Once the water is fully settled, use either a pen marker or a grease pencil to mark one side of the container. To indicate the exact level of water, place your mark at the same height as the surface of the fluid. Remove your clothes before getting into the water-filled container. Once in, make sure you are completely submerged. You need to make another mark to indicate the new water level. But doing this while you’re underwater might be hard. Have someone else draw a marker line to indicate the level of water. Again, placing the mark at the same level as the risen fluid’s surface line is important. You should get out of the water once the change of water level has been marked, but make sure you cover yourself with something. Using a tape measure or ruler, get your container’s length and width in centimeters. You will use the measurements to calculate the container’s surface area. Measure the vertical distance from one marker line to the other in centimeters. This distance is the depth. To compute the volume of water displaced, multiply your container’s surface area by the vertical distance between your markers. For example, if the container’s inside length is 200 cm and the width is 50 cm, then the surface area is 10,000 centimeters squared. If the vertical distance between your markers is 5 cm, then the volume of water displaced is 50,000 cubic centimeters (10000 x 5). Remember, one cubic centimeter of water is equivalent to one gram. Since you weigh exactly the same as the volume of water you displace, your estimated total weight is 50,000 grams. Divide this figure by 1,000 to get your weight in kilos. In the above example, your weight will be 50 kilos. It is worth noting that this calculation is founded on the assumption that the container has vertically upright walls or that the portion of the container where the two markers lie is vertically upright. This simple mechanism has a history that goes way back. It is believed to have been used to move and weigh objects during the stone ages. The theory that it was used in the great Egyptian pyramids’ construction works is however widely accepted. Although the lever and fulcrum’s actually inventor has not yet been determined, researchers have attributed the earliest scientific writings about this contraption to Archimedes. According to one of Archimedes’ suppositions about this device, weights that balance at similar distances are equal. With this hypothesis as a basis, you can use a lever and fulcrum device plus objects that constitute more than your entire body weight to establish how much you weigh. Get a lever and fulcrum mechanism. You can use a seesaw set. Since you can source one from a nearby playground, this is probably the most readily accessible option. 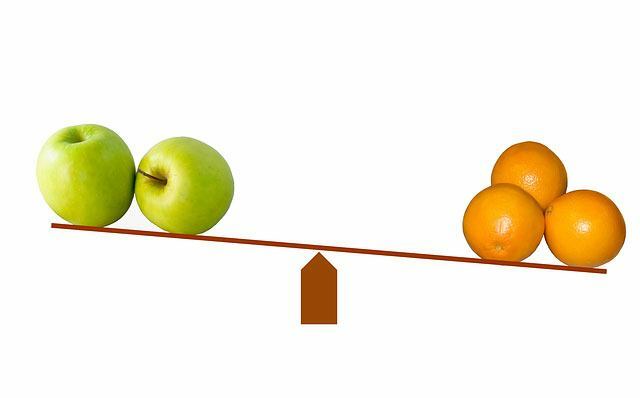 For counterbalance, the best-suited objects are those that have predetermined weights. You can use 1-gallon paint cans or water containers. However, having smaller package weights like half-gallons, quarts, and pints is important for accuracy. Have a friend with you because you’ll need assistance. Getting someone who knows exactly what he/she weighs and has almost the same body mass as you will be more convenient. Sit on the seesaw and position yourself at one of the ends. Ask your friend to start stacking the 1-gallon paint cans or water containers on the other end. As more cans are stacked on the opposite end, you’ll start to get lifted off the ground. Try to attain a perfect balance between the objects placed on the opposite end and yourself. Add smaller-sized loads until the plank is perfectly horizontal. Once you’ve reached the perfect balance, you’ll know that Archimedes’ postulation on the lever and fulcrum is in effect. To compute your weight, get the total weight of all the objects you placed on the opposite side. In total, a gallon of paint weighs about 4.26 kilos or 8.33 pounds. You can calculate exactly how much you weigh from this data. Multiplying the objects’ total weight by 8.33 gives you your weight in pounds. To get your weight in kilos, multiply the same figure by 4.26. The following tips do not necessarily measure your weigh. Instead, they can help you track the amount of weight you may have lost or gained within a given period of time. The desire to know your exact weight probably stems from your inclination to evaluate the proportion and condition of your body. Besides determining your exact weight, there are several other things you should consider doing if this is the case. You can use your senses to estimate your weight. 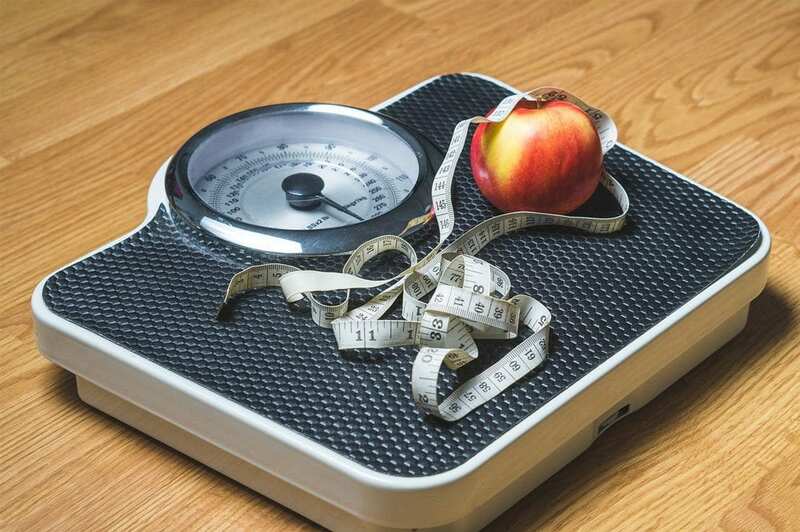 According to some experts, you can tell whether you’re gaining or losing weight based on the changes you’ve seen or felt. For instance, if your clothes don’t fit anymore, you have probably gained some weight. You can also tell how much you weigh by observing your reflection and being honest about what you see. You need to observe how your body reacts to normal activities. According to Kelly Hogan, a nutrition coordinator, you can evaluate your physical stamina by taking a flight of stairs once or twice a week. If you’re out of breath by the time you reach the top, odds are your body is getting heavier. If you’re not losing breath, then you’re probably doing your diet right. By measuring the size of your waist, you can determine whether you have too much visceral fat. An excessive amount of visceral fat is often indicated by a waist that is larger than 40 inches for men and 35 inches for women. Loop the soft tape measure around your waist to measure the size. Besides griping it firmly, you need to keep the tape measure pressed into your skin. When doing this, make sure your abdomen is relaxed. Here’s a video that might help. Recording the results helps you track progress. 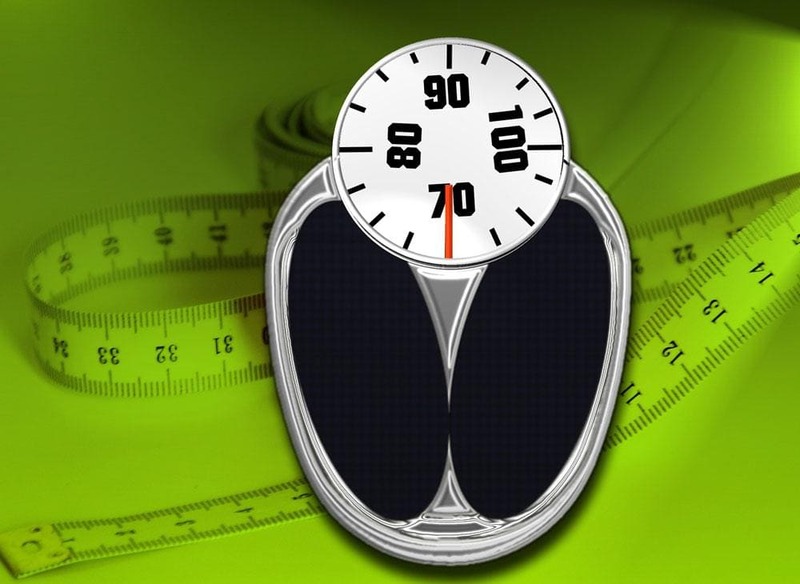 A lower waist circumference indicates weight loss. So you’ll want the size of your waist to reduce. Use the skin fold caliper to monitor your body fat. Gently pinch the skin around your thigh, suprailiac, triceps, or any other body part that you’d want to measure. Clip this skin with the caliper and record the readings. Perform this body fat measurement every month, recording the results on a notebook. Daily or weekly measurements will not give visible results. The aim is to see this number reduce, preferably every month. Thanks to the techniques mentioned above, I am no longer wholly dependent on the scale. In fact, knowing these two alternative techniques makes me worry-free whenever my scale breaks down. Added to that, they are both interesting, particularly the water displacement method. Now that you’ve learned how to weigh yourself without a scale, you can use this knowledge to tell when it’s time to get into better shape. 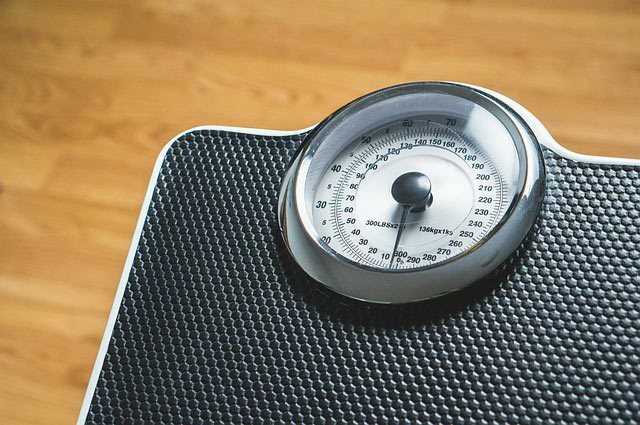 The post How To Weigh Yourself Without A Scale – The Best Ways To Do It appeared first on Fitness Apie.